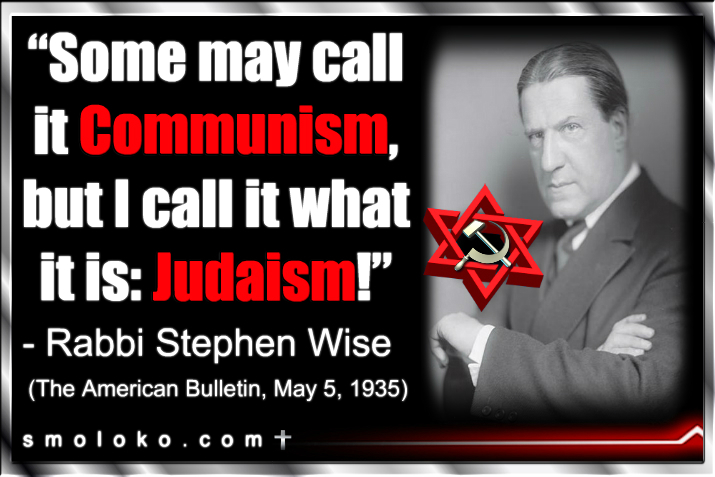 “The Communist soul is the soul of Judaism. Hence it follows that, just as in the Russian revolution the triumph of Communism was the triumph of Judaism, so also in the triumph of fascism will triumph Judaism.” — (A Program for the Jews and Humanity, Rabbi Harry Waton, p. 143-144). “Without Jews there would never have been Bolshevism. For a Jew nothing is more insulting than the truth. THE BLOODTHIRSTY JEWISH TERRORISTS HAVE MURDERED SIXTY SIX MILLION in Russia from 1918 to 1957.” ~ Aleksandr Solzhenitsyn, Nobel Peace Prize Winner and Patriot.